Ten people were killed when at least two suicide bombers and gunmen staged a coordinated attack late Tuesday in a town in eastern Niger’s Diffa region which the local mayor blamed on Boko Haram. “Two female suicide bombers blew themselves up and gunmen then attacked civilians,” Abba Kaya Issa, the mayor of the town of N’Guigmi, told AFP on Wednesday, March 27. “We have a provisional toll of 10 dead plus the two suicide bombers,” along with “seven or eight” wounded, he said, blaming “Boko Haram elements” for the assault. “One of the suicide bombers blew herself up in the courtyard of a policeman’s home, which is located inside the police barracks, and the second triggered her explosives belt between the town hall, the police barracks and the prefecture,” he said, referring to the office of the state representative. A local resident said several houses had been burned and wounded children in the police camp had been taken to the local hospital. 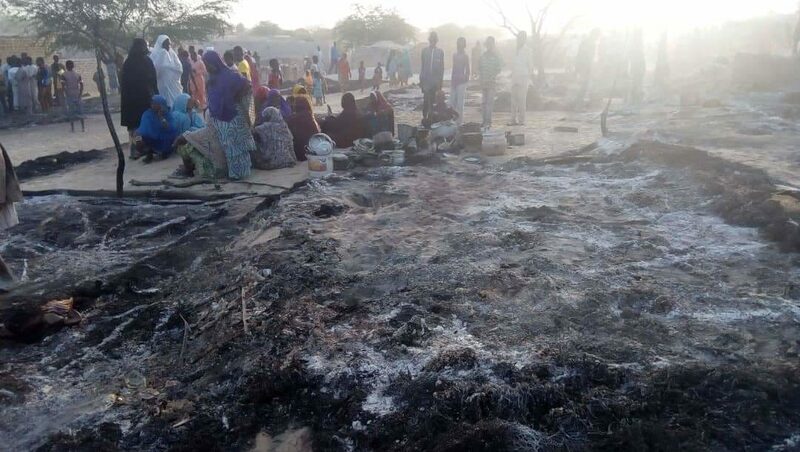 Another inhabitant said “armed Boko Haram” attacked the district of Dileram, “killing civilians and torching homes.” A camp for internally displaced people is located in Dileram. Some local reports put the death toll higher. ActuNiger reported at least 12 people, mostly civilians, were killed and others were missing. Attacks on civilians in eastern Niger appear to be increasing. On March 21, eight people were killed in the village of Karidi in Gueskerou district and 14 died in attacks in the Diffa region two days later. Seven villages in the Diffa region were attacked between March 19 and 23, according to ACLED. It is unclear which faction of Boko Haram carried out the attacks. Islamic State has made a slew of claims of attacks by fighter from its West Africa province affiliate on both sides of the Niger-Nigeria border, but many have not been confirmed by official sources and the claims are at times contradictory. Boko Haram split into two factions in mid-2016. One led by long-time leader Abubakar Shekau is notorious for suicide bombings and indiscriminate killings of civilians. Shekau pledged allegiance to ISIS leader Abu Bakr Al-Baghdadi in March 2015, but ISIS central only gives formal backing to the other faction, which is known as Islamic State West Africa province. 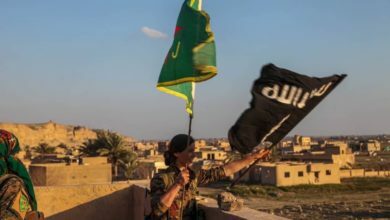 The ISWA faction, which largely focuses on attacking military and government targets, was led by Abu Mus’ab Al-Barnawi, but earlier this month, audio recordings revealed that ISIS appointed Abu Abdullah Idris bin Umar also known as Ibn Umar al-Barnawi as leader. ISIS has not yet made a public statement confirming the change. ISWA rarely uses suicide bombs in its attacks, although its use of SVBIEDs – suicide vehicle bombs – appears to be increasing. In Niger, the Diffa region near Lake Chad has borne the brunt of cross-border infiltration by insurgents. Diffa and neighboring Borno state in Nigeria have seen a number of attacks in recent weeks, as the Multinational Joint Task Force, which comprises troops from Chad, Cameroon, Niger and Nigeria, conducts Operation Yancin Tafki against Boko Haram around Lake Chad. On March 9, seven police and 38 militants were killed near Gueskerou, according to a government toll. The MNJTF said in a statement that “27 terrorists” were killed. Islamic State claimed ISWA fighters killed 30 soldiers in a March 9 attack on a military base in Toumour in the Diffa region. Toumour is around 30 km (19 miles) northeast of Gueskerou, and it is unclear whether the ISIS statement referred to the Gueskerou incident or to another attack. Across the border in Nigeria on March 12, aircraft from Nigeria, Niger and Cameroon supported by MNJTF ground troops killed 33 ISWA militants around Tumbun Rego and Arege, the regional force said. ISIS claimed ISWA militants fired three Grad rockets at Diffa airport on March 14. ActuNiger reported that ISIS claimed that an ISWA militant carried out a SVBIED attack in Toumour the same day and that local and security sources confirmed that it occurred. ISIS’s Al-Naba magazine put the Grad attack on March 15 and the SVBIED attack on March 13. ISIS later published images of what it said were the Grad launches.